Oil on canvas 48″x 60″ – painting extends to edges of deluxe gallery stretched canvas. “Ohne Wasser Kein Leben” translates to “Without water there is no life”. 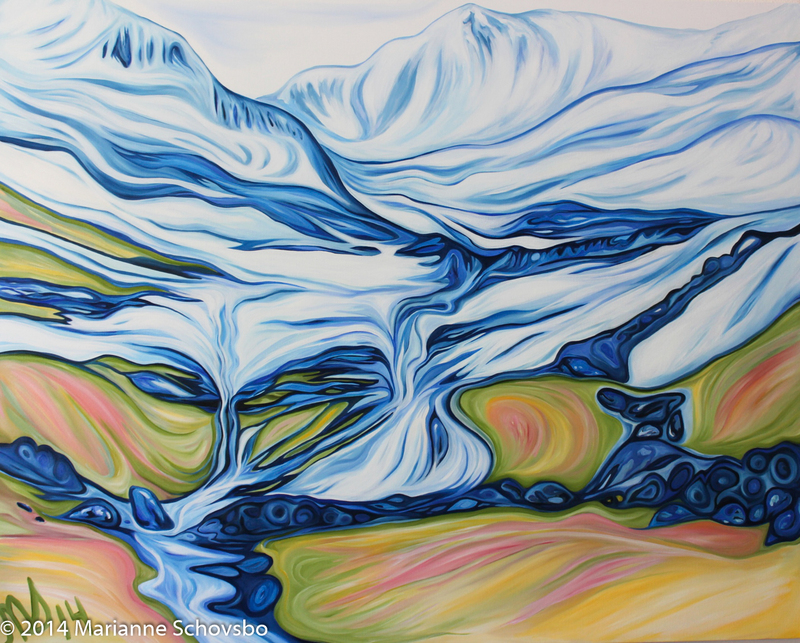 This painting was inspired by the my travels to the beautiful Alps in Austria and Switzerland. For more information about this painting, please contact Marianne Schovsbo via this website.